Before enlarging, click photo to ensure maximum resolution. 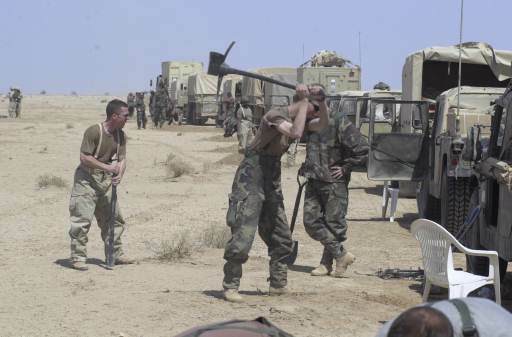 Soldiers from the 3rd Infantry Division (M) (D-MAIN) dig survivability positions in southern Iraq on March 23, 2003, after intelligence reports put Iraqi forces in the area. U.S. and Coalition forces are participating in Operation Iraqi Freedom.